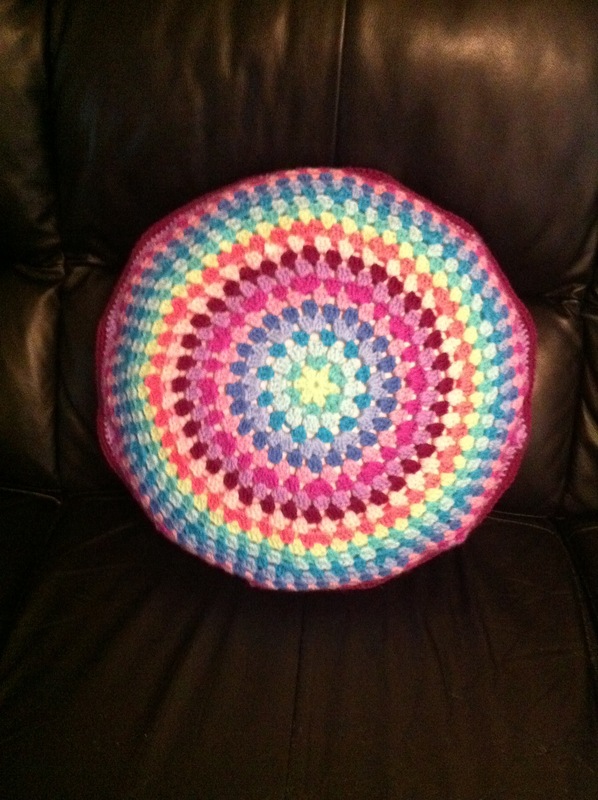 I am loving crocheting pillows these days, I just finished a granny mandala pillow. I used a 16 inch pillow form and Stylecraft Special DK yarn (my favorite yarn). I followed the pattern from here and added a few rows to fit my pillow form. Will look great against my black leather couch. Off to make a couple of square ones now!